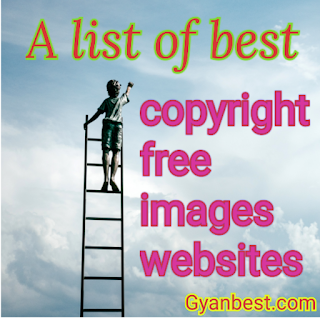 Hi friends, In this post, I'm providing the 34 best free stock image sites to get copyright free images and videos to use in blogs or YouTube. These copyright free images can be used for commercial purpose. You can search, find, and download the images of different categories on these copyright free images websites. What is a copyright free image? All the images are available on copyright free images websites under CCO. That means you can use these images for non-commercial or commercial purpose on your blogs, YouTube or anywhere. You can use these images with or without modification. But you are not allowed to sell these images downloaded from copyright free images websites. What are copyright free images websites? Those sites, that allow uploading images under CCO, and download for free to use. You can download such images from some sites without getting registered. But you need to register on some copyright free images website to get free to use images. Why copyright free images are needed? If you are a blogger or YouTuber than some images are needed for a blog post or a video as a thumbnail. If you use images of someone not available under CCO than you may face a problem of copyright infringement. On another process, the link juice passes from your site in giving credit for the image. So your 1st choice for the blog post or YouTube video thumbnail would be a copyright free image. Using an appropriate image on a post, make it look beautiful and attractive. And if you use copyright free images, it will be helpful in getting AdSense approval. This is a part of On-Page SEO. When you use a copyrighted image of someone and give them credit for the image. It boosts the Off-Page SEO of the site from which you got the image. Because of that site gets the link juice in the form of do follow backlinks from your site. Writing good content, using an appropriate title, good images, image alt attribute, editing permalink, using high CPC keywords, SEO friendly design, systematic arrangement, and publishing tricks are the part of On-Page SEO. While getting do follow backlinks for your site or blog from search engines, web directories, social sharing sites, file sharing sites, bookmarking sites, backlinks builder tool, Edu sites, Gov sites, and high DA blog commenting sites are the part of Off-Page SEO. Good SEO score is helpful in increasing organic traffic and revenue. So if you get an image from your competitor's site then it won't be good for you. They can defeat you in ranking competition. But if you don't find an appropriate image on copyright free images websites. Then you can use a copyrighted image by giving credit for the image. Because of the minimum loss for maximum benefits is applicable. You can find copyright free images on Google for your blog posts or YouTube videoes. Search for the desired image on Google on desktop mode. Click on image - click on the tool - click on uses rights - select labeled for reuse. All the images on that page are copyright free. That can be used on the blog or YouTube as a thumbnail without any hesitation. 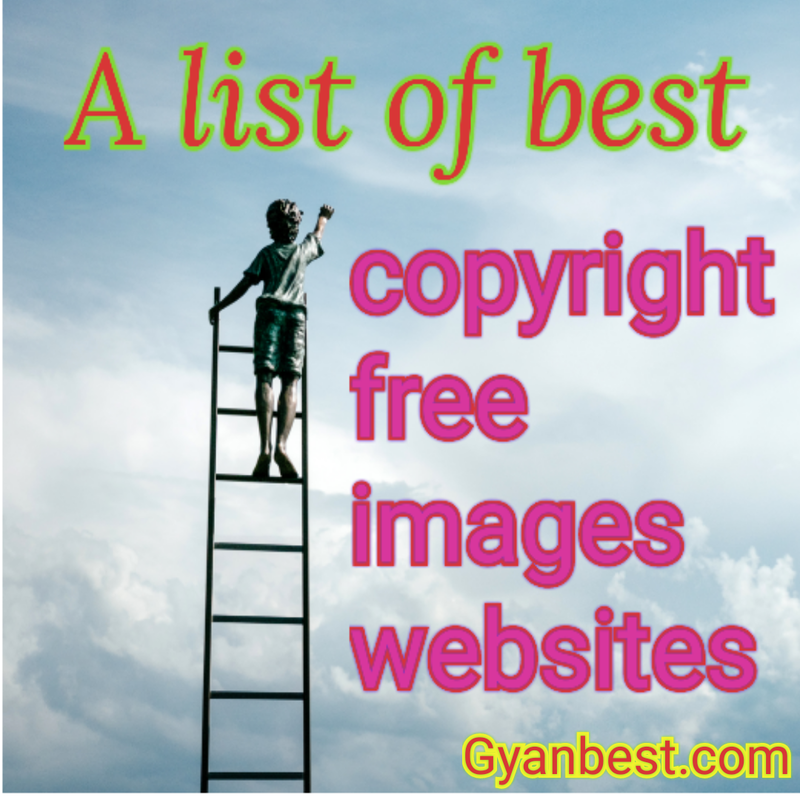 But these 34 best free stock images sites are the best source to get copyright free images. This is one of the best free stock images website. This site is in use by several bloggers and creators for many years. Because of its collection of lots of amazing photos. This site provides free videos also that can be used anywhere. This is also an amazing copyright free images website. I always come to this site to get the best images. This site is very popular for many years. You can find here attractive images in so many categories. And allowed to use them anywhere with or without modification. This site is also known as the best site for copyright free images. This site is in trending now a day for its awesome quality images. All the stock images websites provide the service like these three sites. But all the sites are unique for their own specialty.